Slimband is a weight-loss surgery and treatment centre in Canada. 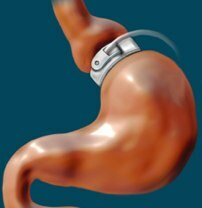 It specializes in gastric banding (also known as laparoscopic adjustable gastric banding [LAGB]) procedures and related treatments including post-operative recovery. Owner Michael Scot-Smith describes the slimband program as a hope restoring, life changing option. The official website describes it as “proven, permanent weight loss solution” but the centres and the program have their critics as well. Traditional exercise-and-diet weight loss advocates describe gastric banding as a waste of money and assumption of risk for basically the same results as working out and eating right. More seriously, some former patients and workers describe the company environment as a boiler room which employs hard-sell tactics and downplays risks of serious complications. For an average cost of $16,000 (without financing), it’s worth looking into. LAGB surgery is a laparoscopic (done through small cuts in the abdomen) procedure in which an adjustable silicone band is fitted around the top portion of the stomach. This band is connected to a port just beneath the skin which can be used to inject it with saline to tighten, or release saline to loosen. When tightened, the pouch formed reduces stomach capacity to about one ounce. While some centres indicate the procedure will take 1-2 hours under full general anaesthesia, the Slimband website advertises that it will take 30 minutes or less to perform and patients usually go home the same day. People can usually return to work within a week, and resume full activity in about 6 weeks. Key to the success of the procedure is that patients adopt a sensible diet and incorporate regular exercise into their lifestyles. Patients who follow the post-operative lifestyle recommendations can expect to lose 1-2 pounds a week up to 40% of their excess weight in the first year. The next year should see an additional 10-20% loss, with a weight loss plateau usually occurring at 18 months post-op. Slimband centres advertise that they provide comprehensive support including pre- and post-surgical counselling and support as well as on-going care. The Slimband website offers numerous success stories and testimonials and notes that it has performed over 7,000 weight loss surgeries. They have also been sued by former patients who claim the procedure was rushed, unsuccessful, or lead to serious complications. Other types of LAGB patients have also reported results that range from life-changing or even life-saving to disappointing. Several different individual factors will influence the long term outcome including existing health conditions, preparation and post-operative behaviour. Side effects of LAGB surgery include nausea and vomiting, which is usually relieved by adjusting the band, indigestion, constipation or weight regain. Complications with the surgery itself like infections or minor bleeding happen less than 10% of the time. More serious complications like band slippage or stomach perforation have been reported but the occurrences are rare. Not recommended for people with a Body Mass Index of less than 40 in the United States (35 in Canada) and no weight related medical conditions like diabetes or sleep apnoea, or with a BMI of between 30 and 40 in the U.S. with at least one weight related medical condition, or a BMI of 35 in Canada with two weight-related conditions. Not recommended for pregnant women. Women who become pregnant after surgery can have the band adjusted for the duration of their pregnancy, then re-adjusted post-partum. LAGB band surgery is a personal decision that should be made under the advice of a physician. It is important to remember that it is not a magic bullet, and in order to be successful many of the same traditional lifestyle changes regarding sensible diet and increased exercise will need to be implemented. Even then, the amount of weight lost will likely mirror that of a similarly committed person who has not had the procedure. Additionally there is the considerable expense to consider. If, after factoring all of this a patient still feels that LAGB surgery is right for them, they should know it is considered one of the safest, most effective gastric surgical weight loss procedures available. Slimband’s main office is is Ontario,Toronto, Canada – there are other clinics including Calgary and Halifax. If you are looking for a cost effective,safe weight loss solution we Can thoroughly recommend PhenQ – a combination of natural and pharmacy quality ingredients. 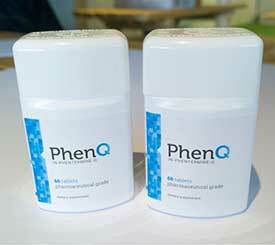 PhenQ can burn excess body fat while lessening and suppressing appetite. The cost per month is a fraction of the cost of gastric banding. 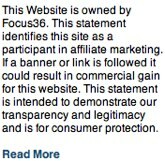 There are many success stories on the PhenQ that have been written (and video’d) by real people.